Free trade is an issue which has re-emerged on the global political stage in recent years. Yet, as we at LASC know very well, attempts at trade liberalisation, and the opposition to such reforms, stretch back for decades. 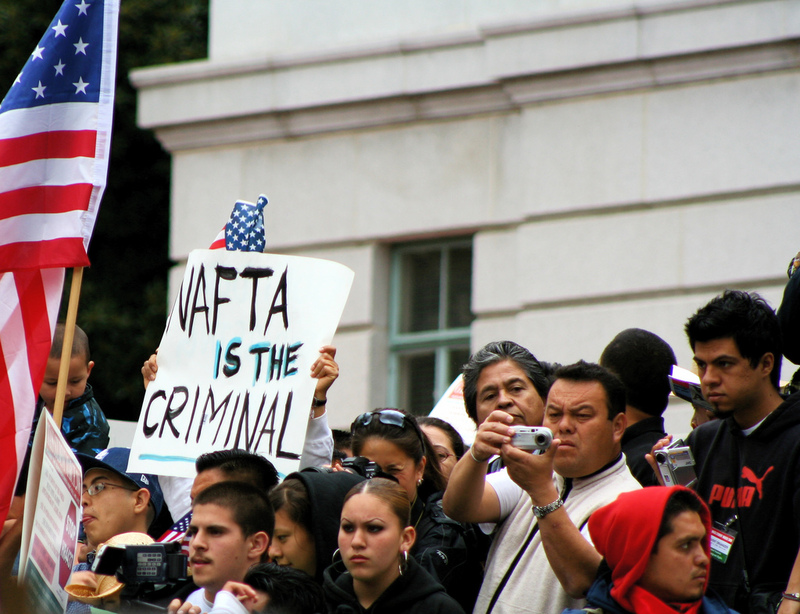 GATT, NAFTA, TTIP – these are some of the agreements that have caused controversy over the years. And while these agreements may claim to increase wealth and prosperity, for the vast majority of people affected, these acronyms spell disaster. Free Trade Agreements allow corporations to move factories to areas with lower environmental regulations. Free Trade Agreements (FTAs) are almost always negotiated in secret, with limited citizen participation. In these closed-door talks, powerful individuals and corporations directly undermine the democratic powers of a country’s citizens. While “free trade” may sound good on paper, in practice it involves massive deregulation. In Latin America, where business regulations are frequently lax already, this can mean eviscerating environmental protections, loosening of worker safety laws, and undermining the authority and sovereignty of local governments. FTAs can include provisions for the privatisation of vital services like health and water, driving up inequality. Eliminating trade barriers often leads to markets becoming flooded with goods from other countries, leaving local small businesses and farmers unable to compete. The ensuing trade deficits have also deepened debt crises in the past. Jobs migrate to jurisdictions with lower wages and other business costs, leading to unemployment in some areas, and the establishment of dangerous sweatshops in others. This also impacts workers’ rights to unionise, as companies can threaten to close operations and move jobs elsewhere when their employees assert their rights. FTAs frequently target intellectual property rights, which would allow traditional medicines and recipes to be patented, and their production and sale to become the sole right of the patent holder. While corporations may have eked millions of dollars of profit from NAFTA, it has caused immeasurable hardship on both sides of the border. Photo by Jim Winstead. Mexico under NAFTA (North American Free Trade Agreement) has unfortunately suffered from many of these issues. Since being signed into law in 1993, NAFTA has lost the US one million jobs, and displaced two million Mexican campesinos. While goods may be free to move across borders, people are not, and Mexico is currently suffering from a refugee crisis as thousands of people attempt to cross the US border. In fact, unemployment caused by NAFTA has increased this migration flow by half a million people per year. In the ten years following NAFTA’s enforcement, Mexico effectively repaid its national debt four and a half times over, yet still found itself crippled by interest repayments. The knock-on effect on the Mexican economy pushed 8 million families into poverty, and in some states up to 70% of people earn less than minimum wage. This increase in poverty has been a boon for criminal organisations, who can easily recruit impoverished youth. 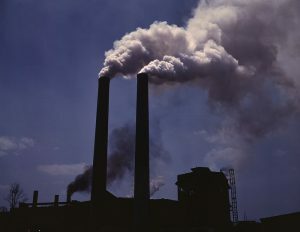 Lower environmental regulations and an increase in manufacturing have increased pollution. Along the US border, most waste goes unaccounted for, while only a tiny fraction is disposed of properly. In these border areas, birth defects are twice that of the US national average, and the rate of hepatitis can be up to three times greater due to inadequate sewage treatment. 15 US logging companies have also set up shop in the country, blazing a trail of destruction that has led to massive soil erosion and habitat destruction. If the terrible impacts of NAFTA on Mexico have taught us anything, it is that globalisation should be a grassroots, bottom-up process, not one imposed from above. LASC has been a vocal critic of such initiatives for over a decade. In fact, one of our greatest triumphs was being part of the popular movement that helped to bring down the proposed FTAA agreement (Free Trade Area of the Americas), which would have brought NAFTA-style reforms to almost all of Latin America. Our Latin America Week for 2003 revolved around this movement, and included speakers from Mexico, Cuba, El Salvador, and Ireland. The networks and campaigns that we built have continued to serve us in our opposition to such agreements around the world.